This week in the research section I’ve been talking about focusing on your “go to” tools, the ones you use all time. Now, that’s great if you’ve been drawing for a while and you already know what works best for you, but maybe you’re new to all this and you aren’t really sure what your thing is yet, or maybe you’re just keen to try something different. Either way, what I want to show you today is one of my favourite bits of kit. Hopefully it’ll help you decide if it’s something you want to get hold of too. These are my nikko nibs, they’re Japanese and you see them a lot today being used for things like modern calligraphy and manga drawing. 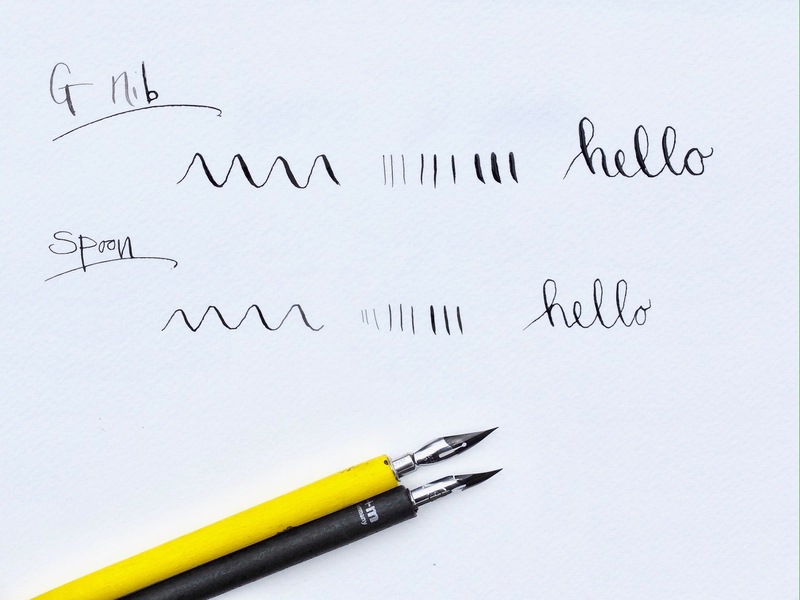 That’s because they’re really flexible – you can get really fine, crisp lines as well as thick strokes by varying the pressure you draw with. Here I’ve got two different types, the G nib and the spoon. 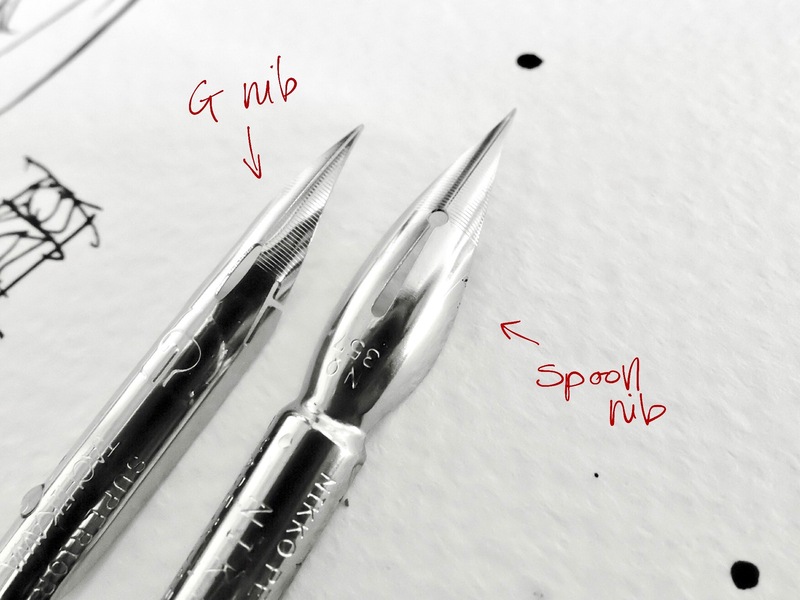 The G nib is the most flexible, it’s more responsive to the pressure you apply, and the spoon is less so, giving you a little more control when you’re drawing. So to show you what I’m on about I’m going to practice what I preach and do another drawing of my favourite mug. I did a post before on the benefits of doing something over and over again using different materials, and I don’t think I’ve tried these with the mug before so I’m gonna hop straight in and see how it works out.